Choosing the correct grip size must be a careful and considered process. Take care of your grips and try to change them frequently. 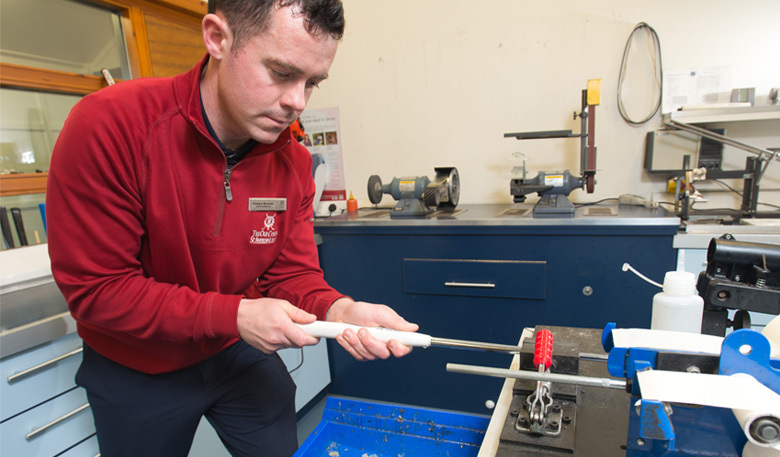 Fintan Bonner from the St Andrews Links Customisation Team explains the importance of grip size when choosing a golf grip. The customisation team were lucky enough to meet Oliver Fisher after Day 1 of the Alfred Dunhill Links Championship last week. Oliver called into the Custom Fit Centre at the Golf Academy as he was having some issues with his grips. Oliver explained that he had Jumbo sized grips put on his clubs the day before the event due to an injury he had sustained to his hand. After one round playing with these grips he felt they weren’t quite right for him and he needed a change as he found them to be too big and he couldn’t get his hands around the club correctly, which understandably was affecting his play. We changed the grip to a mid-sized grip of his choice and we saw a significant difference straight away with his scores improving dramatically. 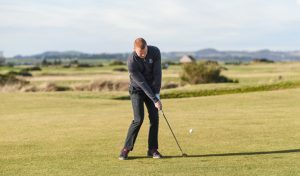 An incorrect grip size on your club can affect feel, grip pressure and resultantly will have a negative effect on the player’s club head speed. Needless to say playing with the right grip size is hugely important. 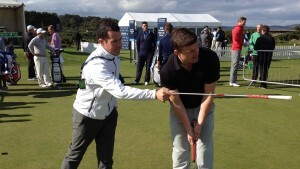 It’s the player’s only point of contact with the club so it must be fitted correctly. 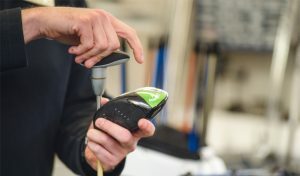 There have been numerous measurement systems devised over the years to fit a golfer for grip size. Ultimately they only act as a guideline as the most important factor of the grip fitting process is an unmeasurable factor of ‘feel’. If you’d like your clubs regripped, you can make an appointment to visit us in the Custom Fit Centre at the Golf Academy by emailing customisation@standrews.com.